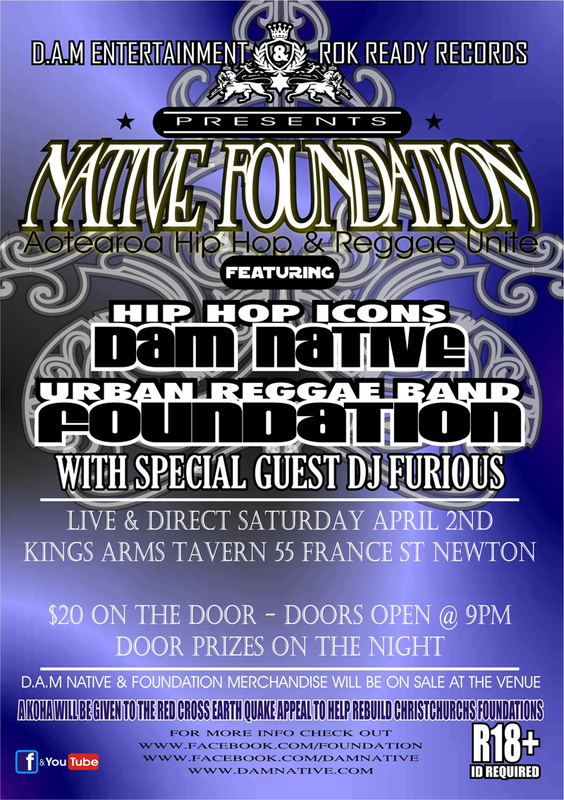 Dam Native are playing this Saturday at Kings Arms. New Zealand hip hop pioneer Dam Native is launching a dramatic music video for the hard-hitting single, Only You, from the groundbreaking second album – Aotearoa … Nobody Does It Better. The highly crafted killer tune is a collaborative effort between the band’s lead musician Daniel Haimona (Hype the Native), musical director Bryson Campbell (Blakman) and programmer Robert Lundon. A House of Taonga production with support from New Zealand On Air, the music video was shot by Rakai Karaitiana from House of Aroha with editing by Rongotai Lomas and Rawiri Motutere. 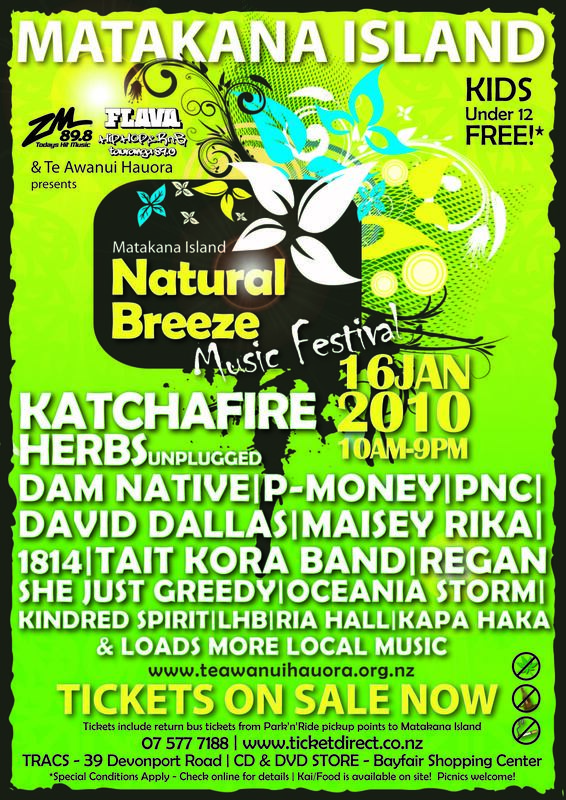 Schedule / Timeslots / Lineup / Running Order for Kotahitanga concert. DAM NATIVE Daniel Haimona better known as Hypethenative was born in Wellington and is of Te Arawa, Tainui and Ngati Kahunungu descent. Hypethenative is the Poetic Mike Master of his Pioneering Album KDRU Kaupapa Driven Rhymes Uplifted … in his words “ahead of his time why a lot of you missed it.” Produced by Zane Lowe and released by Tangata Records in 1996. In the same year the album won him two music awards most promising group and most promising male vocalist. And a hit single Behold my cool style, which went on to win best music video in the flying fish awards. No he has not stopped it just takes time to follow up such a great first album with an even better one. Record companies saw hip-hop as a passing phase in the 90’s and Dam Native went underground after the first album in disgust. He was signed by Heartmusic in 2003 and slowly created his second album as a response to what he considered “kid hop”. He wanted to make adult music for adults. While some like to put albums out every other day he takes a less is more approach. Heralded by every MC in New Zealand as the Maker and Leader of NZ Rap history (go on ask them yourselves) Dam Native have put the heart back into Hip Hop music once more to deliver an exceptional Second Album of highly crafted verses. With guest MC Tyna on Sirens in the City and Strong beats by Robert Lundon and Bryson Campbell who keeps the hard beats infectious. We’re just greater/it doesn’t mean that I hate ya/ so don’t even try to defy the laws of nature/ passion/ perseverance/ hardwork is what it took/ and the golden rule/ don’t hang with motherf**kers who get shook. I’ve already cracked it/see what I’ve got/ what is perceived of me/it might not seem I have a lot/ but my self-esteem/ it seems/ is no dream/ its boiling hot/ enemies/ don’t exist for me/ we all love that native hip-hop. To tunes like Whakarongo mai nei and Only You. Even if you don’t like Hip- hop you can’t not love this musical story. If you want to know about true Maori style then take a leaf from the pages of Dam Natives Lyric sheets and plug it into your ears before pasting it on your bedroom wall. No flash producers, no overseas recording deals and no big budget and still this one of a kind Hip-hop album will last long after all others are dead. 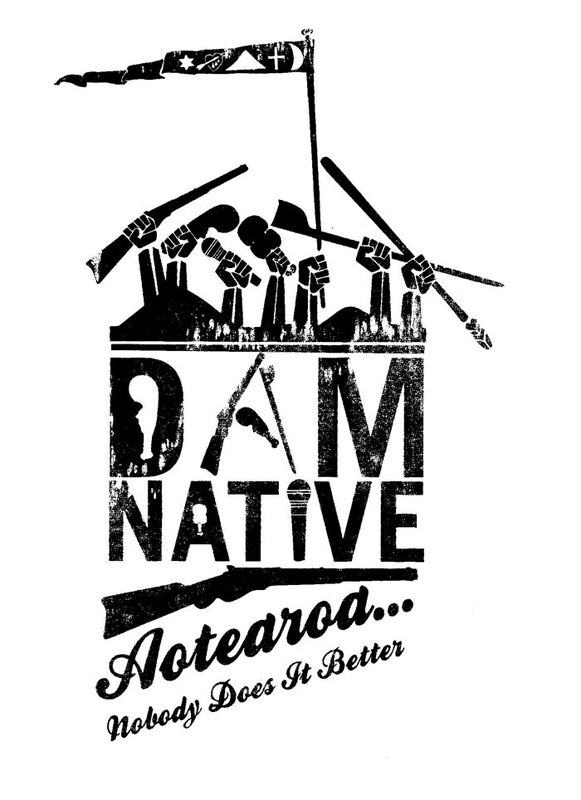 The Dam Native band is made up of 6 members and is a patriotic, musical and lyrical testament to Aotearoa. Tom Atkinson on Drums, Joseph Hoani Dylan Keating on bass, Timothy Williams on Keyboards, Bryson Campbell aka BlakMan on lead guitar, MC vocals, Pirimia Falwasser aka Nativesixonetwo MC vocals and Daniel Haimona aka HypetheNative MC Supreme. The band has transformed the hard edge beats into musical magic and is arguably the best Hip-hop band in the world. Auckland gig announced: Dam Native and Hangman with support from Infinite Rensta down at Juice Bar Saturday November 13. 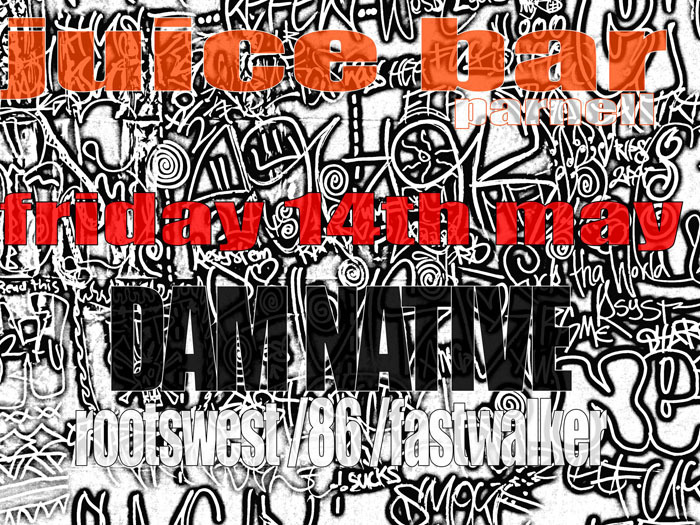 At late notice, Dam Native FULL LIVE BAND have been recruited into playing a free entry gig in Parnell this next Friday 14 May at Juice Bar! There will be a bunch of other bands playing there too so get on down and hangout at this cool bar. Roots west are a reggae band and are starting things out for the evening. After that is 86 who is a solo hip hop artist playing over some backing tracks. 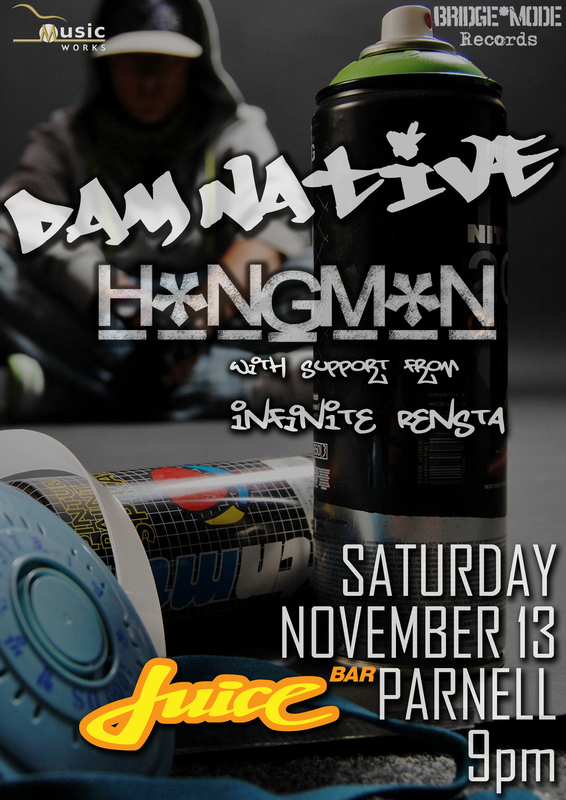 Then comes Dam Native full live 6 piece band, we got 612 from Sydney for this one, its fully loaded. Then comes Fastwalker to finish things off. More accurate times will be posted when available. 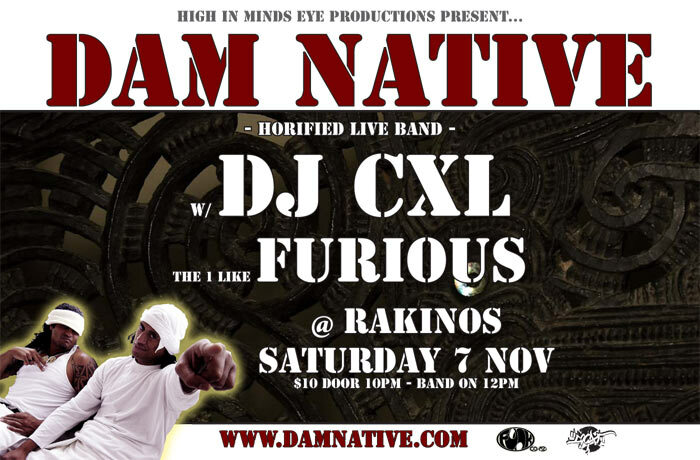 Kia ora whanau… If your in Wellington in the first week of July make sure you come down and checkout DAM NATIVE LIVE… We will be on stage at 3:15pm sharp til 4pm (DJ CXL, Hype, and Blk). 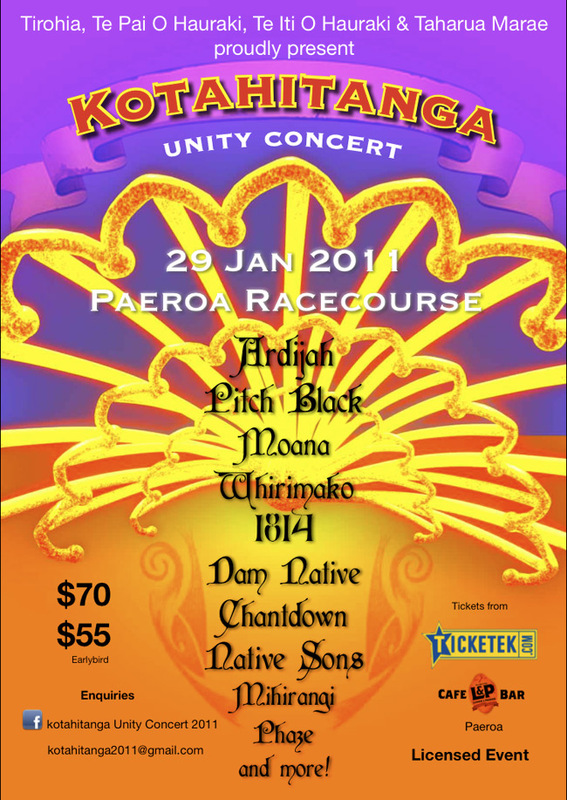 Nau mai haere mai nga iwi katoa… Please come and support this great Kaupapa!!! Mauri Ora!!! !